I am eating a slice of this cheesecake as I type this post. Sometimes I forget how good cheesecake is. The texture is just so rich and luxurious and makes me feel fancy. Even when it’s cracked a little bit. 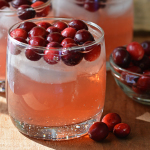 Last week I posted these Bourbon Cranberry Lemonade Fizzes and I had some cranberries leftover. I wanted to use them up, and remembered a bottle of Cranberry-Pomegranate juice I saw in the grocery store when I went to buy the Cranberry Lemonade. Really I just wanted to also make something with pomegranates. Pomegranates, why are you so weirdly pretty? Turns out, pomegranate seeds combined with cranberries in a pot on the stove with some sugar and water makes the most gorgeous colored syrup. It was so vibrantly pink! I wanted to a paint with it. Swirling it into the top of this cheesecake made me feel all artistic and stuff. 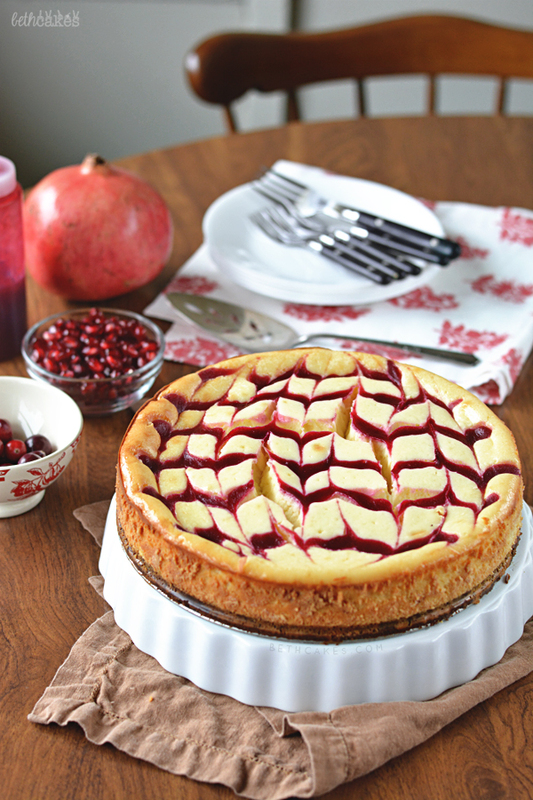 There are some other really good flavors going on in this cheesecake in addition to swirly cranberry-pomegranate syrup. The cheesecake is full of white chocolate and the crust is made with cinnamon graham crackers and pecans. I know regular honey grahams are a go-to for crusts, but let me tell you. Don’t forget about the cinnamon ones, y’all. Also if you want, you can throw some pecans into your food processor when you make the graham crumbs. I’m not going to say it’s required, but you’d be silly not to do it. Also also, adding yogurt to cheesecake makes it suuuper creamy. Don’t forget this step! I will never not add yogurt to a cheesecake ever again. 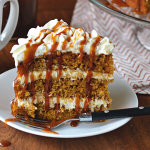 In addition to the Nutella Pumpkin S’mores Tart I posted on Friday, this would also be a great Thanksgiving dessert option. Honestly, it can be hard to remember dessert because it’s turkey and side dish crazy town, but definitely make this cheesecake and remember to save room for dessert. 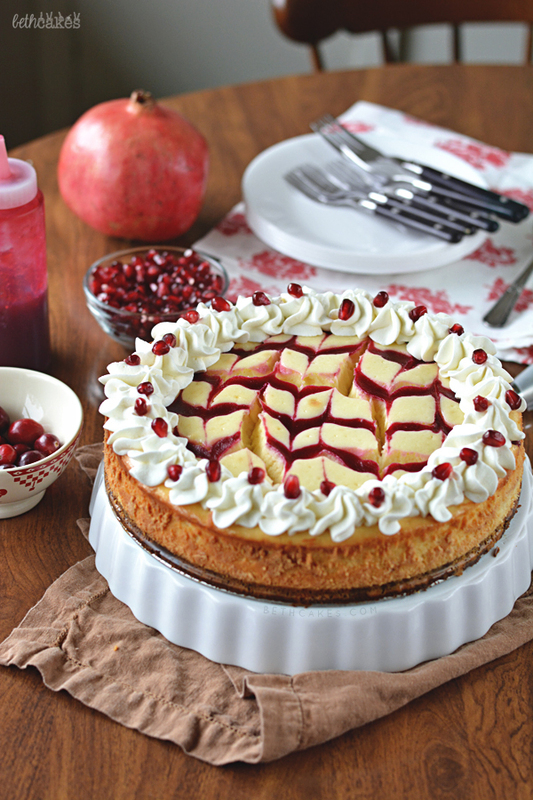 Cranberry-Pomegranate syrup is swirled into the top of a white chocolate cheesecake with a cinnamon graham cracker and pecan crust. It's perfect for Thanksgiving, y'all! Spray a 9 inch springform pan with nonstick spray and preheat the oven to 350 degrees. Press the mixture into the bottom of the springform pan and bake for 10 minutes. Remove the pan from the oven and let the crust cool completely. Combine all ingredients--pomegranate seeds, cranberries, sugar, and water--in a medium-sized saucepan over medium heat. Stir until the sugar has dissolved. Bring the mixture to a low boil and cook for 15 minutes, stirring occasionally and making sure the mixture doesn't boil too much or boil over. During this time, you'll notice the cranberries sort of bust open and all the fruit gets mushy. Press the fruit with a rubber spatula to make sure all the juice has been released. Remove from heat, let cool completely before swirling into the cheesecake. Preheat the oven to 350 degrees. In a large bowl, beat cream cheese with an electric handheld mixer on medium speed until smooth and creamy. Add the sugar and mix until incorporated. Next add the yogurt and white chocolate, and mix until just combined. Add the eggs, and mix well. Repeat with the yolks. Finally, add the flour and mix until just combined. Pour the cheesecake batter over the crust in the springform pan. Tap the pan on the counter a couple times to release any air bubbles. 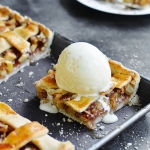 Place the springform pan on a baking sheet and place it all in the preheated oven. Bake for 45 minutes. 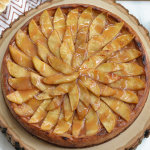 The center of the cheesecake should still be a little jiggly. Turn the oven off and let the cheesecake sit in the oven for an hour. Then remove cheesecake, let it cool completely, and then chill for 6 to 8 hours, or overnight. 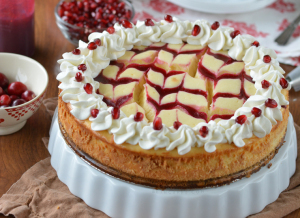 Garnish cheesecake with whipped cream and leftover pomegranate seeds and cranberries! 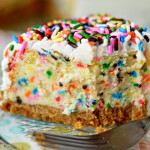 Oh my this look amazing. You had me at white chocolate cheesecake. Gah, these photos are breathtaking! Pomegranates are the most photogenic fruit. okay… let’s just assess this situation. you just combined cranberries, pomegranates, white chocolate, cheesecake, AND graham crackers. 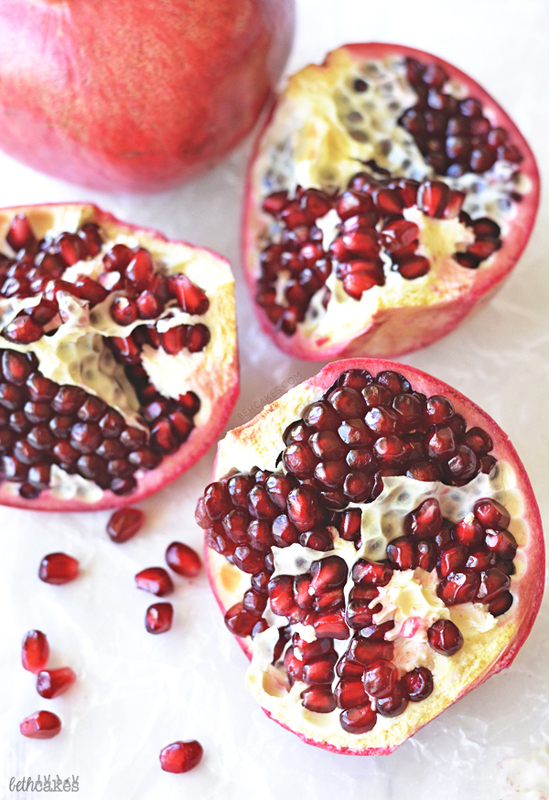 Pomegranates are one of my favorite things to eat, and have been since I was a kid! I love them tons, but I’ve never used them in a baked good. I love the cranberry pomegranate combo, and with white chocolate?! Sold. Pinned! This is GORGEOUS!!! The cranberry with pomegranate sounds delicious!!! Thanks, Matt! Also, Roll Tide! Saw on instagram that you were at the game. So jealous! Um you had me at pomegranates. And your totally stunning photos. This is a mouthful and completely worth it! Love all the flavors, especially the pomegranate white chocolate. Pinning! Beautiful cheesecake! Cranberries and pomegranate really makes this cake shine. I love how creamy it looks too! Such a gorgeous cheesecake! Love the cranberry pomegranate combination! 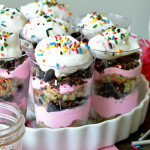 Looks absolutely amazing – I LOVE that pretty pink colour on top! What a gorgeous cheesecake for the holidays Beth! This is such a gorgeous and festive cake, Beth! Love it! Craving a slice of this cheesecake right now – it looks so delicious, and I am just drooling over that fruity swirl! Wow, this cheesecake looks so festive. 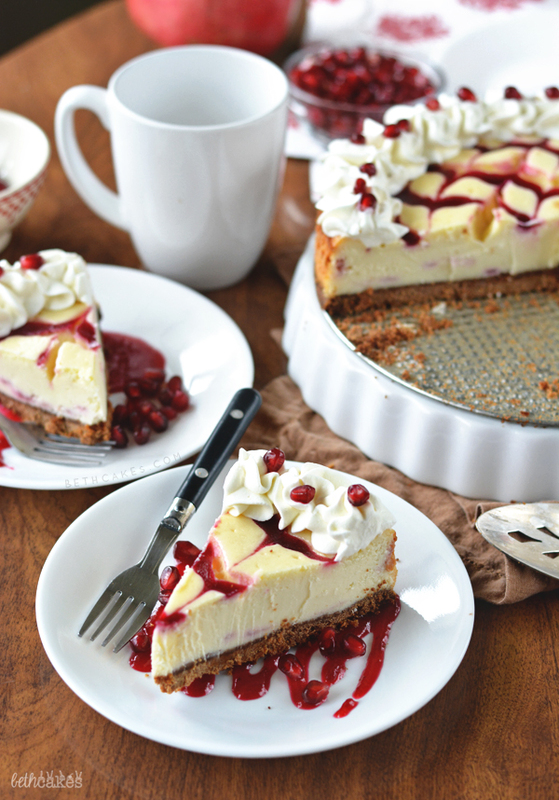 I love white chocolate, I love cranberries, I bet I would love this cheesecake too. Great pictures as well, you can see how creamy the cheesecake is in that last picture. Well done! I’m not a big cheesecake fan, but that looks amazing! 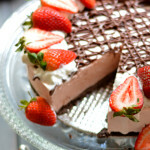 Wow this cake looks so amazing and the idea of using white choclate cheese cake with cranberries is beautiful. Thanks for sharing.